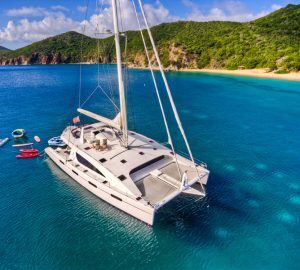 Luxury charter catamaran BLUE NOTE was designed by Alliaura Marine and launched in 2007, she measures 18.59 meters (61ft). 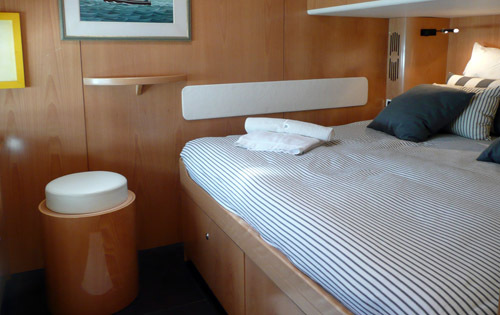 BLUE NOTE is able to accommodate 6 guests in 3 en-suite cabins cruising the Western Mediterranean, the yacht is based in Cannes, South of France. 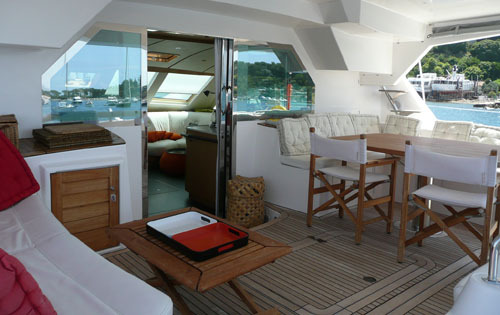 Sailing catamaran BLUE NOTE has a contemporary interior, with a wonderful contrast of white head lining, light wood walls and a dark wood floor, giving a very fresh and open feel. 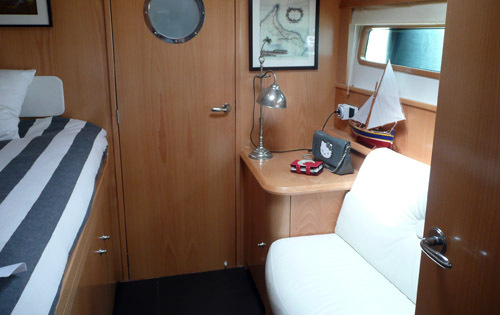 The salon offers 2 plush white leather sofas and a formal dining space, forward of the salon is a home entertainment area with additional seating and a flat screen TV with DVDs . 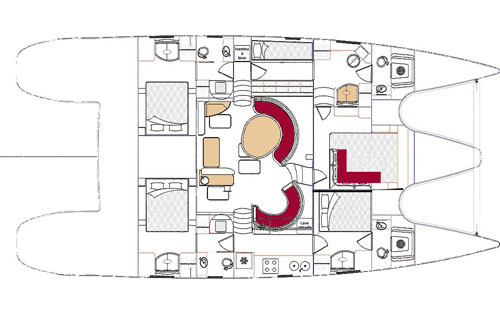 BLUE NOTE has ample deck space thanks to the catamaran design, her cockpit provides 3 separate seating areas and an alfresco option all set on luxurious teak decks. 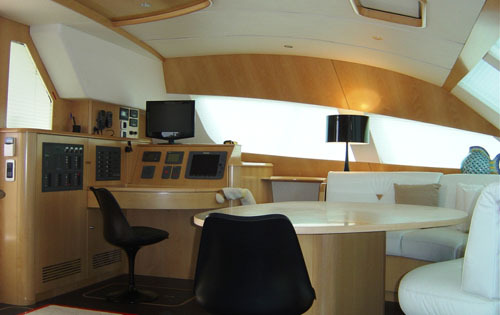 Above the cockpit is the fly bridge which has plenty of sunning space on the large sunpads. 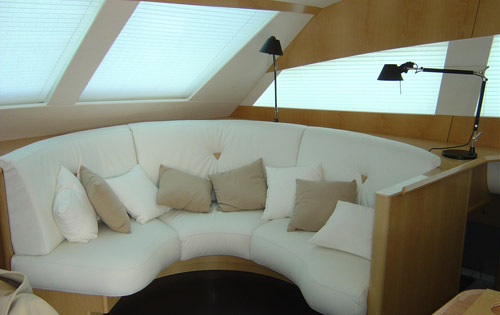 Additional lounging space can be found forward on one of the two trampolines. 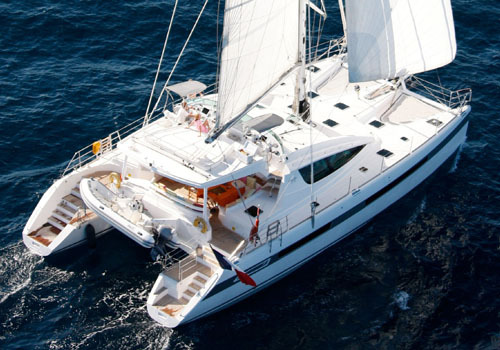 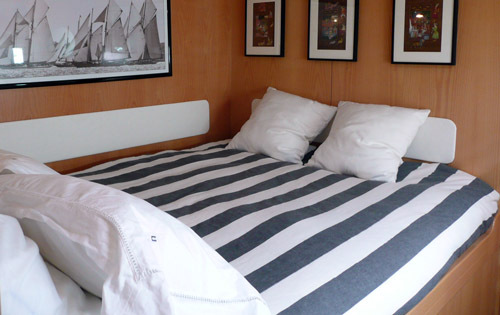 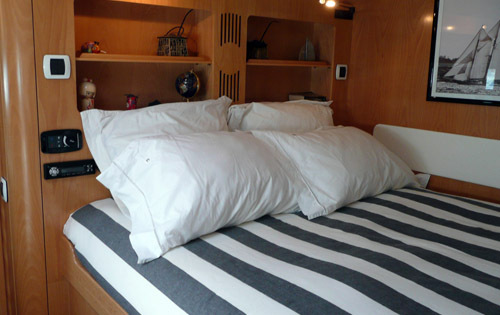 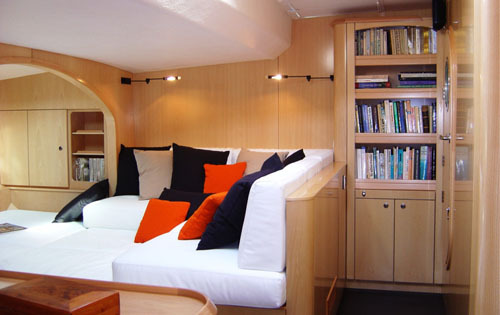 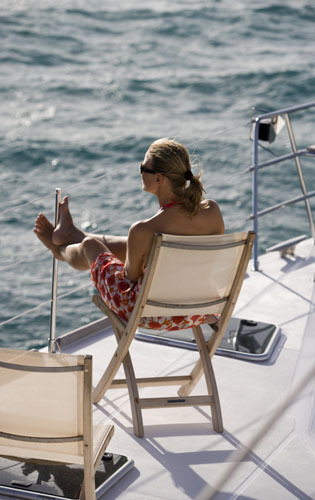 Sailing catamaran BLUE NOTE is well equipped for charter offering TV, DVD, CD and even a book library, each cabin has its own stereo built in and a comfortable leather sofa. 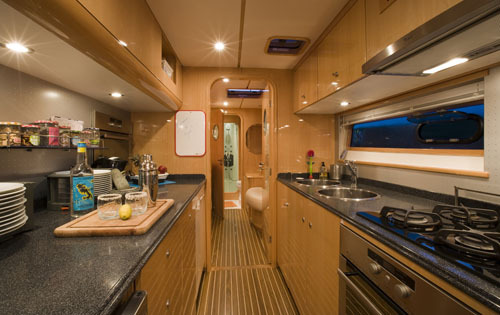 Guests can also enjoy a fun assortment of water toys including water skis, wake and knee boards, snorkel gear and fishing tackle. 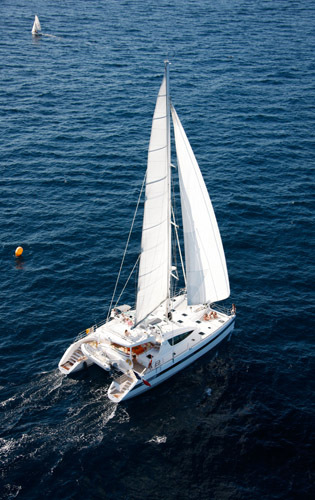 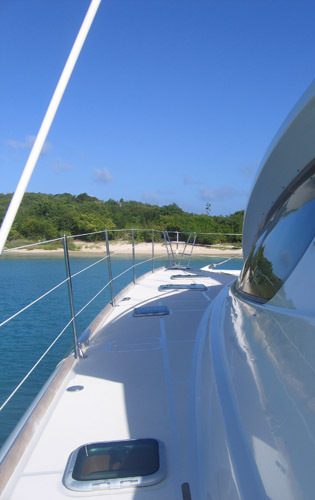 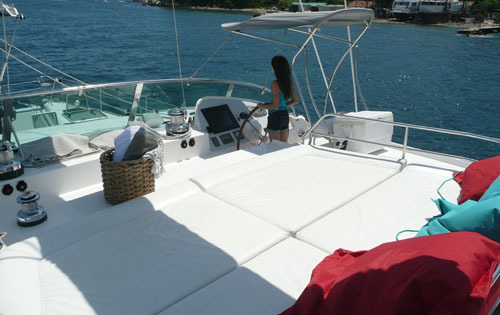 Charter catamaran BLUE NOTE has a beam of 9.26 meters (30.4ft) and a draft of 1.55 meters (5.10ft) allowing for better access to shallower anchorages. 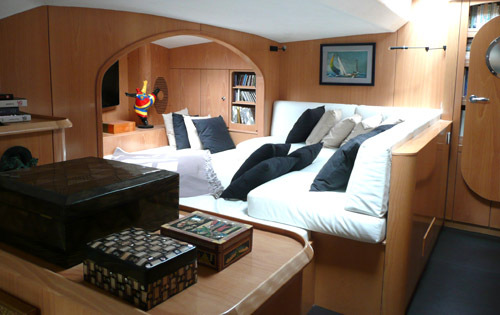 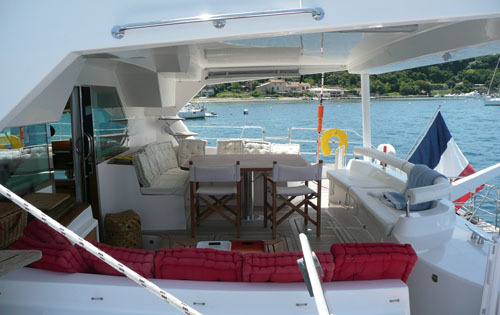 Luxury yacht BLUE NOTE offers accommodation for 6 guests in 3 double cabins, all with private settee and en-suite facilities. 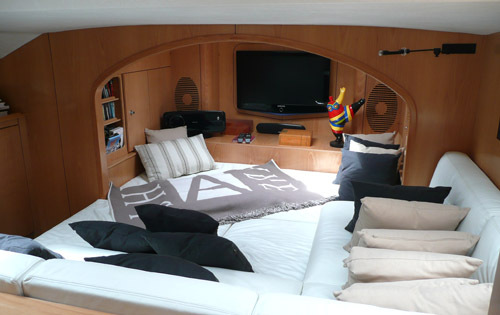 The home entertainment area can be converted if needed for 2 children.